Porthminster Cafe has a reputation for fine food in their restaurant (including their fish n’ chips) but not everybody knows that during the summer months they serve the same fish n’ chips from a counter on the beach, to be enjoyed at the wooden tables on the beach. The only difference here is that they are served in a cardboard box rather than on a plate! A real treat with a cold beer on a sunny evening. Drive around the bay to Hayle and out the other side along the coast to Gwithian and on to Godrevy Lighthouse. 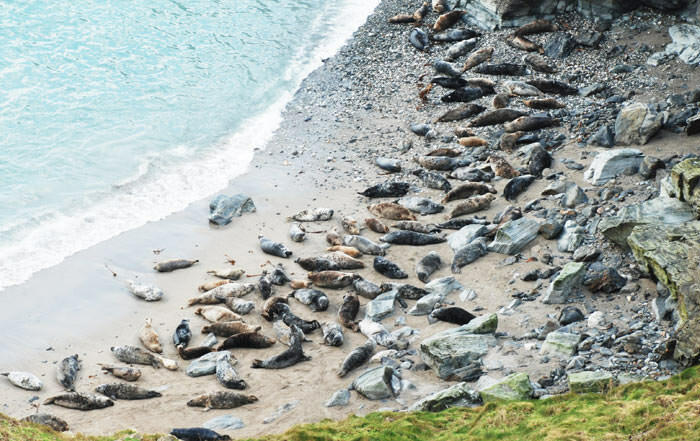 Park your car at the National Trust car park and wander along the beach towards the lighthouse where, if you cut across Godrevy Head, you will be able to view a colony of grey seals who reside on the small sheltered cove below. Next to the car park the Godrevy Cafe is a great place to enjoy lunch al-fresco. 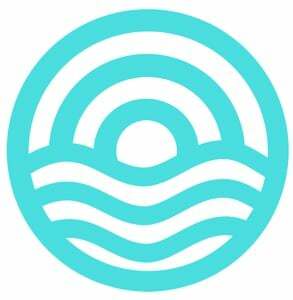 If you are feeling especially active then this is the home of the Gwithian Academy of Surfing (GAS) where you can take surf lessons or just hire surf equipment (telephone 01736 755493). Park a couple of miles outside Padstow in the tiny village of Little Petherick and enjoy the stunning scenery whilst walking along the estuary. Whilst in Padstow it would be rude not to treat yourself at Rick Stein’s fish n’ chip shop on the seafront! The walk back along the opposite side of the estuary is equally stunning and very peaceful. Altogether it’s approximately a 7 mile round walk. A bit of a drive to Padstow, but well worth it! From Porthmeor Beach follow the coast path past the bowling green to Clodgy Point and 7 miles beyond all the way to Zennor, taking in some breath-taking scenery along the way. The walk is quite strenuous and you will definitely need walking boots for this one, so a pint and a pasty in the Tinners Arms in Zennor is well deserved (beware that the pub often closes at 3pm). Probably a good idea to get the bus or a taxi back! The Tate gallery at the top of Porthmeor beach is a must-see for art-lovers whilst staying in St Ives, although the Barbara Hepworth Museum and Sculpture Garden is equally spectacular in a very understated kind of way. The gardens are peaceful and secluded, yet they are only paces from one of the busiest pedestrian streets in St Ives. Buy a joint Tate/Barbara Hepworth Museum ticket and save enough money to buy a pasty on your walk between the two, or enjoy lunch at the Tate cafe with one of the best views in town! Enjoy a leisurely stroll around the tiny picturesque fishing village of Mousehole (pronounced ‘Mouzel’) followed by lunch or dinner at the fantastic bistro style restaurant 2 Fore Street on the harbour front. Alternatively you could always enjoy a pub lunch and a pint at the village’s only pub the Ship Inn. Head down to Kynance Cove on the Lizard Peninsula for beautiful rocky coves and clean sandy beaches, not to mention the excellently positioned Kynance Cafe. Park in the National Trust car park and wander down the path to the beach. Also worth a visit on the Lizard are the beautiful villages of Mullion Cove, Coverack and Helford, from where you can hop on a foot ferry across the Helford Passage to the excellent Ferry Boat Inn on the banks of the estuary. Park in the pretty village of Marazion and, if the tide is out, walk across the causeway to St Michaels Mount. At high tide you can hop on one of the many motor boats that putter back and forth from the mainland. Discover the medieval castle and sub-tropical gardens in a truly unique setting. Drive the windy but scenic B3066 coastal road from St Ives to Lands End, not forgetting to pop in to Sennen Cove en-route. If you happen to be passing The Gurnards Head pub at lunch or dinner time then there’s nowhere better in Cornwall for gastro style pub fayre. Past Lands End is the spectacular open-air Minack Theatre, right next to sandy Porthcurno beach. Watching a show and sharing an open-air picnic really is a unique experience on a summers evening. On a warm sunny evening there is nowhere better in St Ives to enjoy the sunset than Porthmeor Beach, or more specifically Porthmeor Beach Cafe! The cafe is situated right at the top of the beach below the Tate gallery and is very much set up for outdoor dining with tapas a speciality. Also on Porthmeor beach is the surf school where you can hire surf equipment or even take lessons (tel 01736 793336). 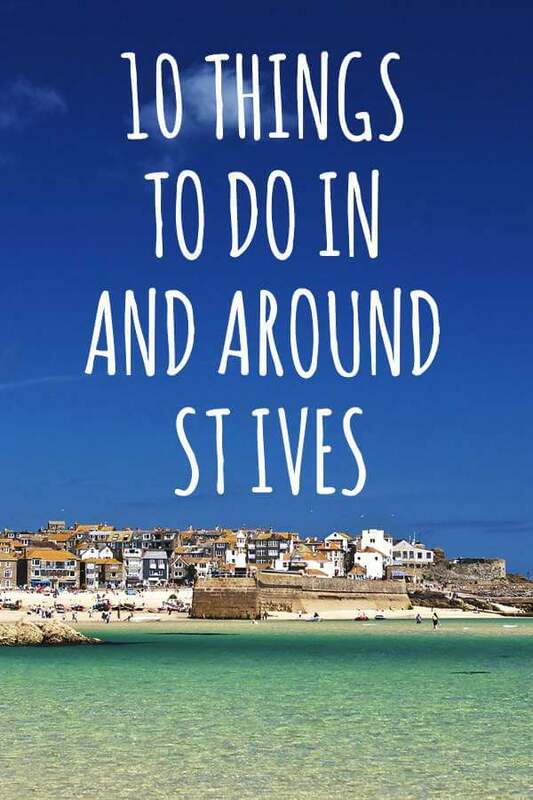 Our top ten things to do in and around St Ives Cornwall. Take in the stunning views along the coastline from St Ives to Zennor, Tate St Ives, Barbara Hepworth, South West Coast Path, Godrevy Head plus many more suggestions! Great list, will start on it this summer! Great article.. please don’t tell everyone about the Porthminster fish and chips counter… they’ll be none left for me!! 🙂 Such a treat to come to St Ives.